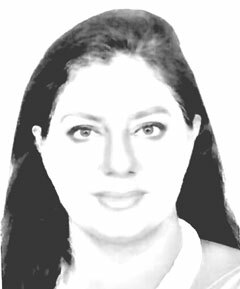 On the eve of International Day for the Victims of Enforced Disappearances 2018, there is very little — if anything — that the government of Pakistan could offer to the people of Pakistan as good news. People are still going missing, the state is still unwilling to investigate cases of enforced disappearances, the perpetrators still enjoy a free hand as well as immunity, the victims are still found dead and mutilated on deserted roads, and the survivors still remain coerced into silence. Parliament continues to struggle with the issue helplessly and the government remains reticent. This is not the first government to have followed the path of tacit submission either. Despite the large number of ‘disappearances’ coming to light, not a single person has been held to account for perpetrating such heinous actions. As per the latest update by the officially constituted Commission of Inquiry on Enforced Disappearances (CIED)through its monthly statement released on August 1, 2018, the total number of missing persons since 2011 to July 2018 was 5,290. Out of this, 2,636 persons were traced till July 31, 2018, while 382 cases were ‘deleted’ due to “non-prosecution and incomplete address”. Only 446 were found to be ‘not missing persons’ as per the Commission’s own account. Yet Justice (Rtd.) Javed Iqbal, the Chair of the Commission, recently said while briefing the Senate Committee on Human Rights on Tuesday that “most people considered to be missing persons have either gone abroad of their own will, are languishing in jails in foreign countries or have joined terrorist organisations like TTP and the groups like that of Sufi Mohammad”. The statement depicts an attitude of indifference and trivialisation of this serious crime. As Sen. Farhatullah Babar, former Senator and member of Senate’s Standing Committee on Human Rights puts it, “the dissidents continue to disappear with impunity and till today not a single perpetrator of the crime has been identified, let alone punished”. Despite many former ‘missing persons’ returning home battered and traumatised; the Commission of Inquiry has not reached out to them and recorded their statements. If it has ever done so, nothing has been made public or made part of the prosecution in order to dispense justice. Most of the people who have returned remain silent due to the threats they face, yet there are a few who are ready to talk. It is telling that these people are never accessible while in Pakistan, they only talk when they are abroad. Meaning thereby, they feel seriously threatened while in Pakistan. It is therefore imperative, that legal systems and procedures be created following which the interviews and statements of the victims and their families could be put on record using modern Information Technology. In his briefing to the Senate Committee on Tuesday, Justice Javed Iqbal, the Chair of CIED informed the lawmakers about three other important points. Firstly, action has been taken against some 200 persons from state agencies, the details of which he would not be discussed in the meeting unless the proceedings were on-camera. This is shameful, to say the least, for the state of Pakistan that its own constituted Commission cannot tell the citizens of Pakistan who the culprits of their enforced disappearances are. The second point that came to light through this briefing was the absence of a law under which the cases of enforced disappearances could be tried. The HRCP and ICJ have time and again demanded that enforced disappearances be criminalised, which is only possible if a dedicated law is passed by the parliament of Pakistan. The third point that was curious in Justice Iqbal’s presentation was about the fact-finding report of the Committee on the Enforced Disappearances, constituted by the federal Ministry of Interior in 2010. As per Justice Iqbal, the report carried many solid recommendations to resolve the issue, however, it remained buried underneath official secrecy. The Senate has actively pursued cases of enforced disappearances in the past. In September 2017, Senate’s Functional Committee on Human Rights held law enforcement agencies to be responsible for enforced disappearances and asked the Interior Ministry to conduct a transparent investigation. Before that, in 2016, the Senate adopted a legislative proposal for bringing the intelligence agencies under a special law to be tabled by the Government. The incumbent government of PML-N at that time had cowed down and never allowed that bill to ever be mentioned again. In December 2017, the Senate Committee on Human Rights announced that it would talk to recovered missing persons to inquire about the circumstances under which they went missing. In 2016, the Senate Committee had asked the Interior Ministry to arrange for a fact-finding visit by the Committee members to the internment centres that the intelligence agencies had admitted in the Supreme Court, they were running in different parts of the country. The parliamentarians were never allowed to visit any one of those internment centres. It is interesting to note that Justice Javed Iqbal had repeated the exact same things as he said in Tuesday’s meeting of the Senate Committee, in the parliamentary committees’ proceedings in 2017 and before that in 2016. His and his Commission have only focused on brushing the issue under the carpet, rather than actively resolving the problem. This is why human rights defenders, civil society organisations and even parliamentarians have demanded a new commission. In November 2017, Senator Farhatullah Babar demand that a new commission be constituted under a new law, with more powers and autonomy. Farhatullah Babar still sounds committed to this issue, like many other parliamentarians and human rights defenders. “Adoption of two legislations and publication of two reports hold the key” said Senator Babar. He emphasised that Pakistan must criminalise enforced disappearances as Sri Lanka has done. The new government will have to take numerous steps to end this brutal practice once and for all. Among other things, the 2010 report of the first Committee on Enforced Disappearances will have to be made public. The Convention for the Protection of All Persons from Enforced Disappearances must be signed. Those already in secret internment centres must be given the benefit of public trials. The people of Pakistan deserve at least this much! Published in Daily Times, August 30th 2018.